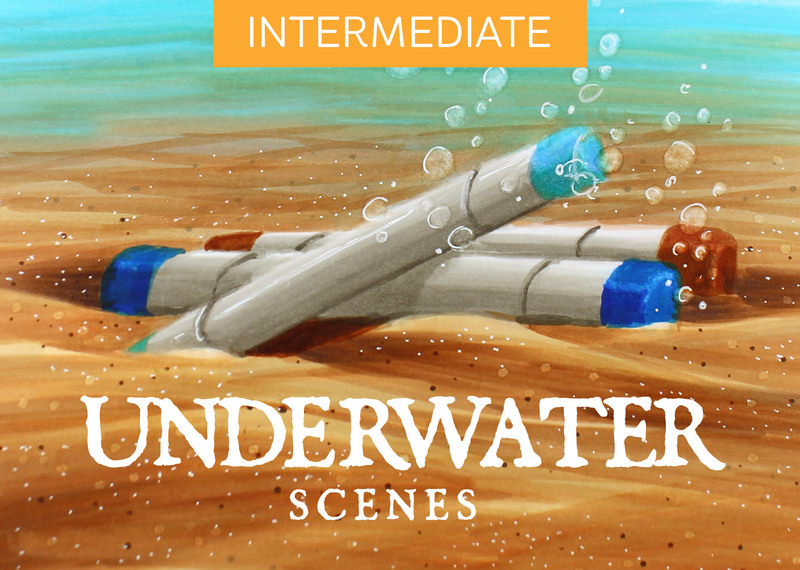 In this intermediate Copic class, 5 lessons will teach techniques for coloring underwater scenes. Each lesson builds upon the last, developing skills that lead to success! This course is an amazing!!! The class is broken down into sections that you can tackle in a small sitting and practice one at a time. I love that there are only a few colors used so I can bring them with me on trips and not have a ton of supplies. I even used the kelp garden for a background on a project I had sitting on my craft table waiting for the perfect background. I entered the project into a contest and won Best of Show!!! Thanks Sandy for your wonderful classes!